You need to make your food interesting for our every day enjoyment of eating. Nourish your senses! Think about flavour when savouring a mouthful (sweet, sour, salty), texture (crunchy, creamy, crisp, juicy), and nutrition (a balance of carbs, protein and fat). Add nuts and seeds to your salad for crunchiness. Need protein? Add any kind of meat, fish or tofu to your bowl. Sweet tooth? No problem. Add candied nuts, chopped dried fruits or roasted root vegetables, which has natural sweetness in them. See they can satisfy you as well as give you the requisite health benefits. Still not sure? Do your research or even ask me:) I get so excited just talking about it. 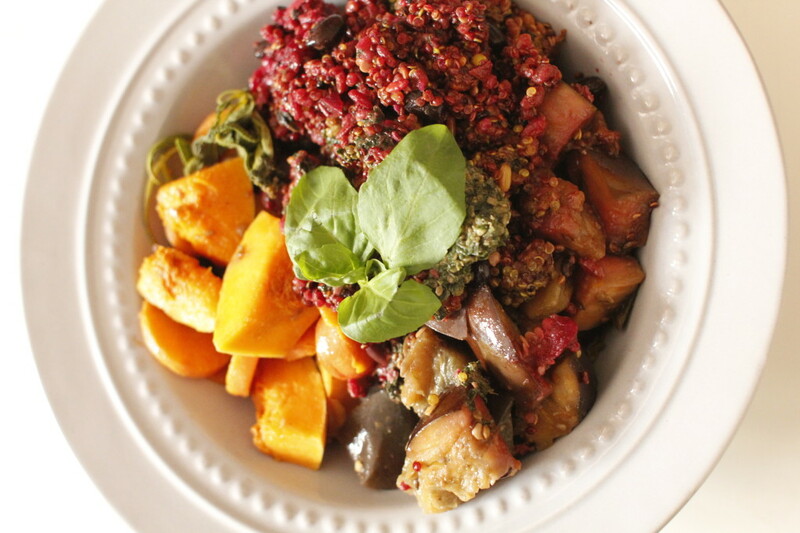 To make this quinoa and veggie salad, I just take out whatever leftover I have in the fridge – butternut pumpkin, eggplant, sage, basil and quinoa. Simply cook them up and put in a bowl. A trick is to cook quinoa in a pot and add veggies towards the end. Then they get beautifully steamed and again no additional dishes. I add a miso dressing for extra flavour and healthy fat. 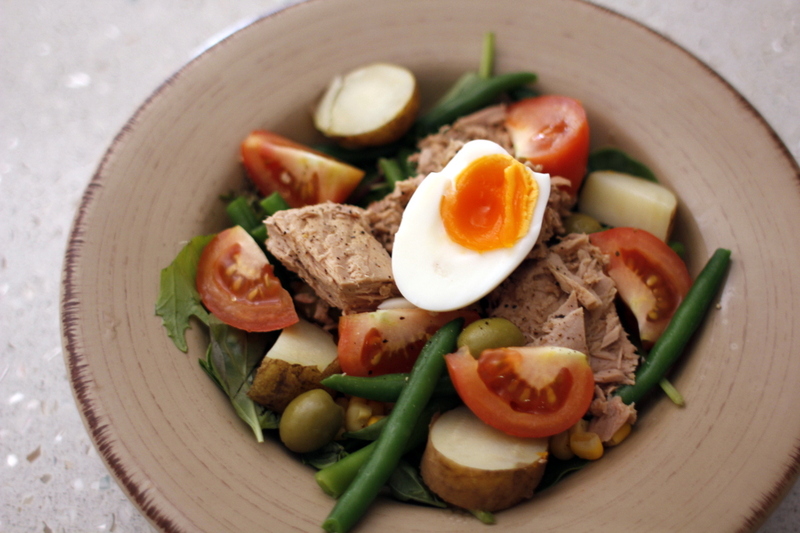 Another example of salad bowl is Salad Niçoise with tuna. I think it is a great emergency meal when you don’t have time to go down to the shops or have no time to cook. There is not much cooking process involved in this dish except boiling egg and potato. Put together semi boiled egg, fresh or canned tuna, boiled potato, olives, anchovies and green beans on a bed of green salad. Dress with mustard vinaigrette.